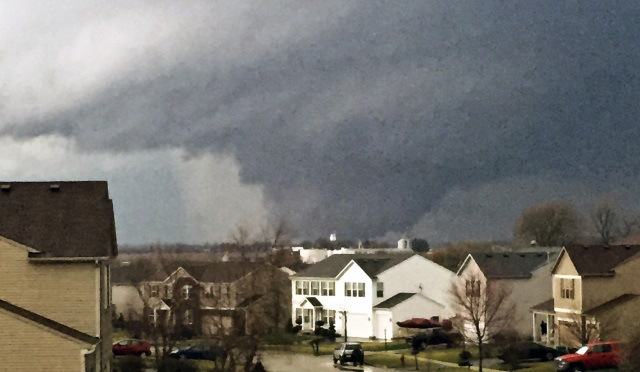 A series of dangerous tornadoes ripped through parts of the Midwest on Thursday. While Iowa and Ohio were among the states impacted, the worst of this alarming storm system was saved for Illinois. In fact, it has been reported that one person has died while eight others have been injured inside of the Prairie State. Of course, no place received a bigger brunt of the abuse than Fairdale, Illinois. Throughout the small town, houses were flattened and others were lifted from their foundations, leaving families completely destitute. Countless videos and images of the storm have already emerged. Those, however, do not capture the full scope of the storm as many that witnessed it firsthand were completely shocked by the unmerciful power of the storm. “I’ve never seen anything like it in my life,” said Kirkland Community Fire District Chief Chad Connell after witnessing the tornado move toward Fairdale. Today, as daylight shines through, the full scope of the storm will become even more evident, and for those that live in Fairdale, life will certainly be tough during the months ahead. Send your prayers.